I’ve been getting our house ready for fall and decorating with all my fall decor. 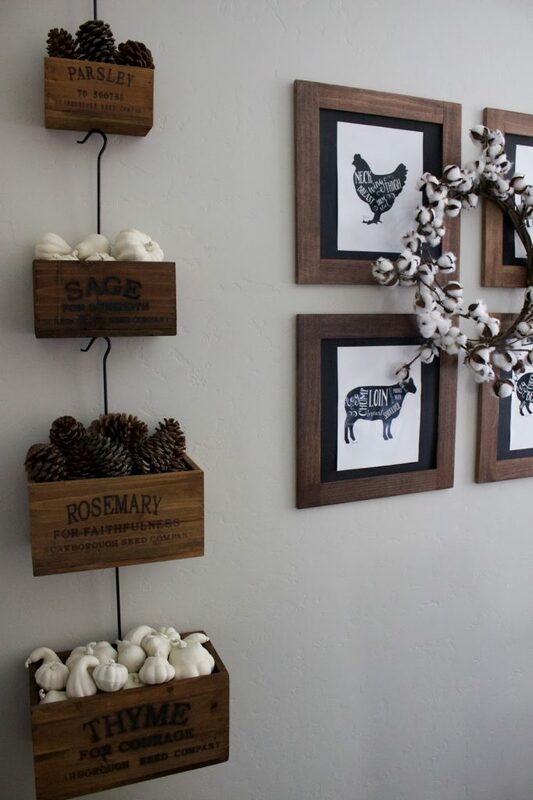 I thought for today’s blog post, it would be appropriate to share what I’ve done with my Decor Steals herb boxes and some craft pumpkins and gourds. During the summer months, I have these boxes filled with faux greenery. I’ve slowly been removing all the greenery in our home and replacing it with fall accessories. I bought a bag of faux gourds & pumpkins and painted them with spray paint. I dream of filling up my whole house with these white pumpkins, and I just might! Get your bag or bags of craft pumpkins & gourds and your favorite spray paint! This is an easy project but took a little longer than I expected. The darn things kept rolling around and around and it took two cans of spray paint to get them completely covered. Also, when they are wet they tend to be sticky and kept sticking to each other. Eventually, I put on some gloves and held each one up by its stem and continued spray painting. Sorry no pictures, cause my gloves were covered in paint! 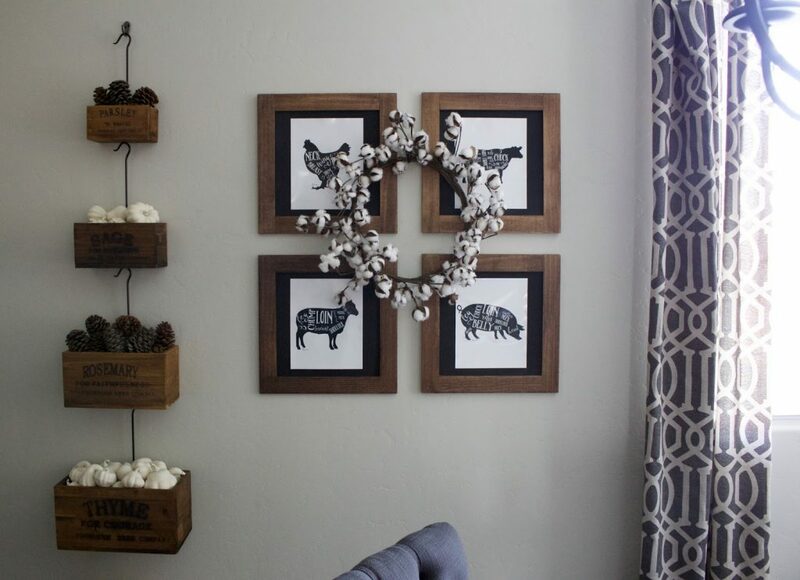 I also hung my Decor Steals cotton wreath over my animal prints from Little Bits of Everything Inc. I originally planned something else here, but it didn’t work out. Now I’m glad it didn’t, because I like this even better! I added some of the larger white pumpkins to the foot stool that is also from Decor Steals. I’m almost done with the dining shelves, so hopefully I will be posting about those soon! I’m loving this time of year, just wishing the California weather would cool off a little bit more. I’m drinking my pumpkin spiced lattes on ice! What do you think? Do you love white pumpkins as much as I do? Share with me! OMG i love white pumpkins! i cant wait to get some to decorate with ! I loveeee it all girl!! The wall hangers are SO CUTE & versatile!!! 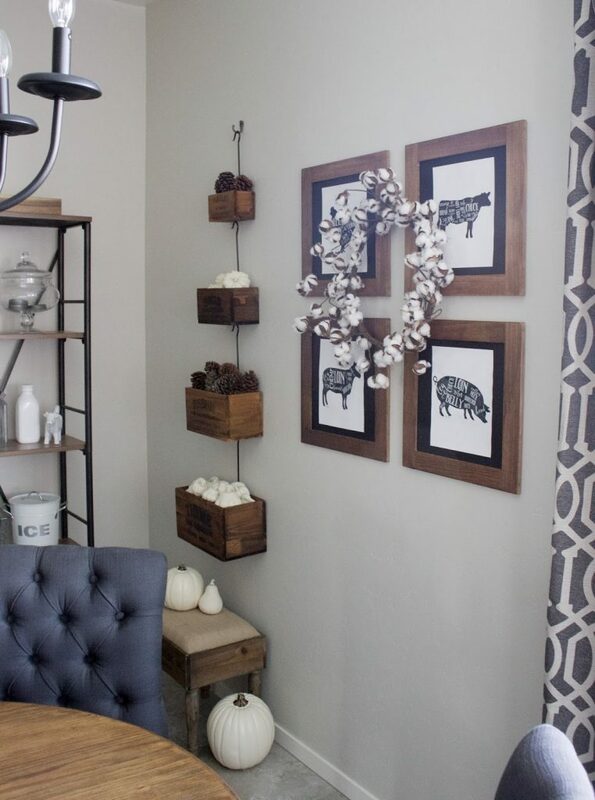 Super cute display with the white pumpkins and those decor steal boxes! I'm featuring this today on my "Best of" series on the blog!! Happy Friday girl! Aww thank you so much!! Happy Friday & have a great weekend!